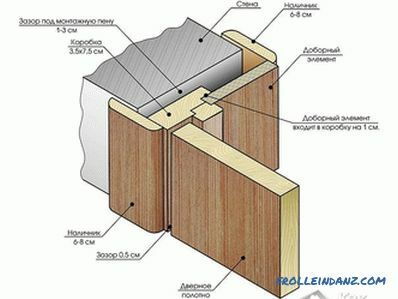 Door frames are sold in hardware stores usually already assembled, ready-made, but their individual components (chopped lumber) are also on sale, there is one advantage in purchasing the latter - when assembling, the box can be adjusted to the required dimensions doorway. 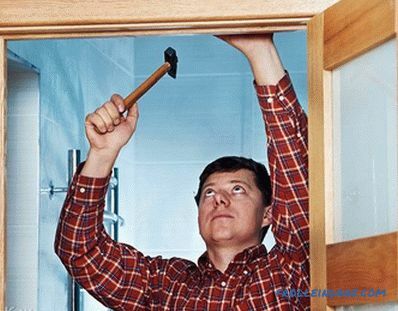 Installing the door frame with your own hands is not a simple matter and it is not recommended to undertake it without having certain knowledge. 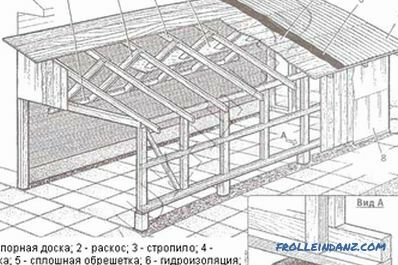 Therefore, we propose to study the installation technology, as well as schemes for assembly. 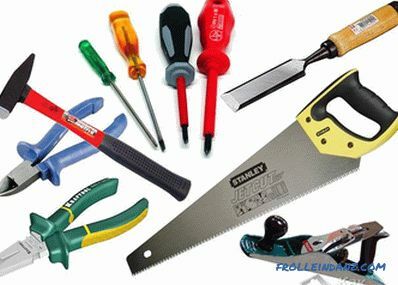 Having a set of professional tools is expensive, but on the other hand, it provides high-quality work results. After all, if you install with simple tools at hand, and without proper experience, you can simply not be able to withstand the necessary accuracy. 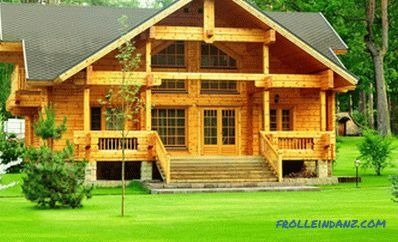 Therefore, before proceeding to work, contact one of the many firms in which you can rent any necessary tool or device for a small fee. 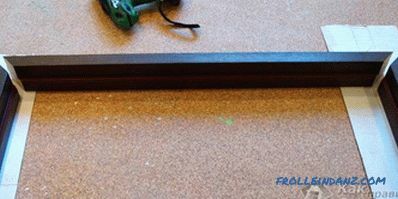 The door frame is assembled in several stages. 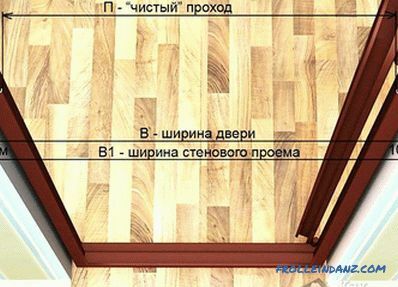 Lay on the floor bars of door construction. 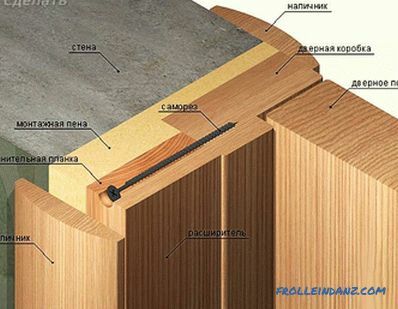 Carefully inspect the material and make sure that the shortest bar of the structure has grooves (their presence is important for convenient connection of all parts). Carefully dock the grooves on the upper bar along with the side bars, and then knock down all these elements. To avoid damage to the material, use a wooden mallet. 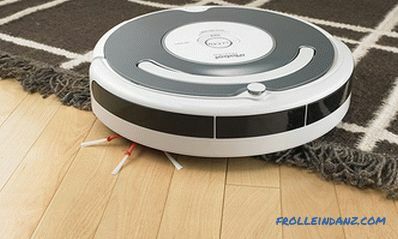 Fasten the parts together with screws and check the reliability of the resulting structure. 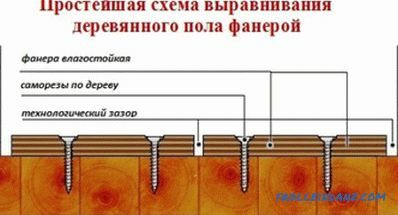 In the absence of grooves in a short bar, all parts of the structure are fastened with nails or screws. Connection Saw the protruding ends of the wooden bars (so that they do not interfere with the assembly). 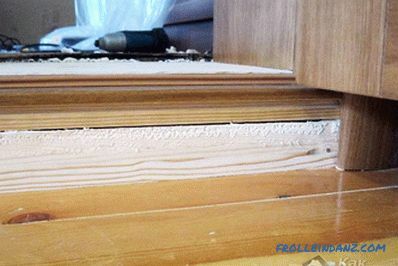 Pay attention to the surface of the resulting door structure - it should be flat and smooth. Check all corners of the structure - it is important that they are straight. 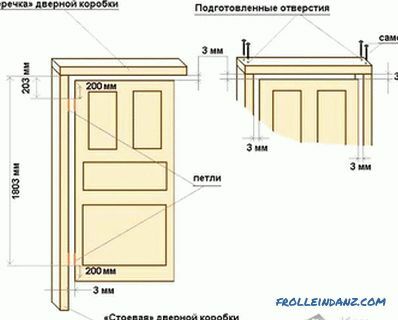 Make accurate measurements of the width of the upper part of the door frame. 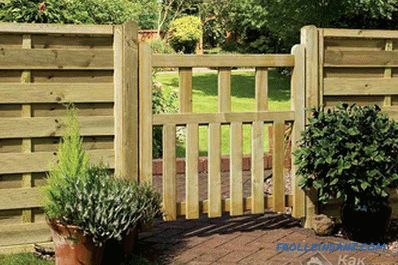 Cut the rail so that its length is slightly longer than the measurement obtained, and attach it to the side rails with nails. Cut the unnecessary ends of the staff. 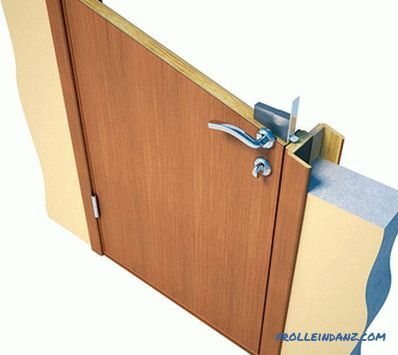 In the next step, you will need to start mounting door hinges. On the inside measure 20 cm from the top edge of the structure. 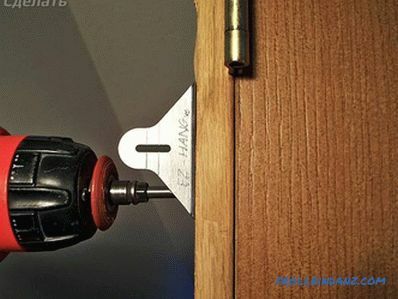 Attach the door hinge and trace its outline with a pencil. 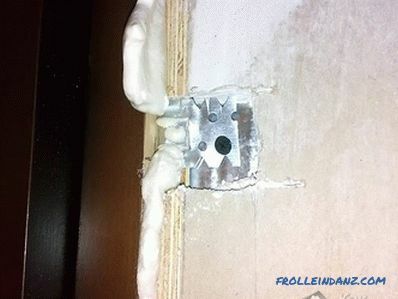 It is known that a folded hinge leaves a small gap from the door to the box (0.4 cm). Given the thickness of the loop, calculate the depth of its installation. 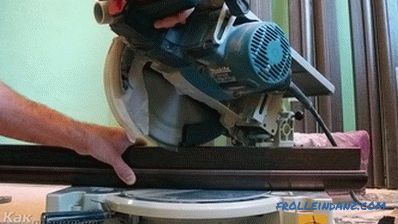 With a router, make a platform for fixing the loop. 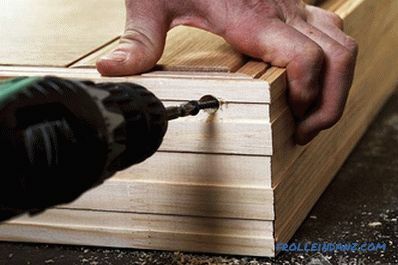 If you did not have an electric router, you can use a set of chisels for this purpose. 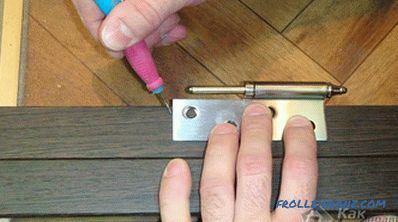 Similarly, make a footprint for the lower door hinge. But note that the distance from the lower edge of the structure should be 21 cm (1 cm is retracted to the lower gap). 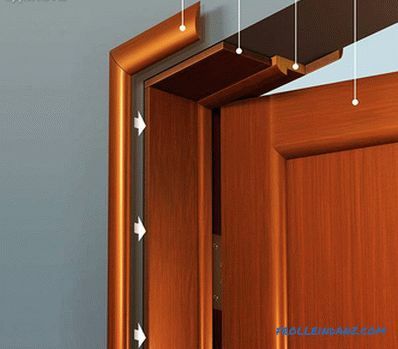 The door frame, with hinges mounted on it, attach it to the door and mark the door where the hinges will be attached. 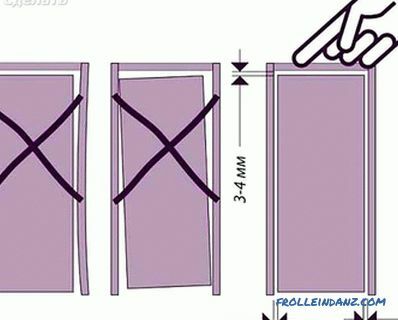 Arrange the door hinges for the hinges in the same way as you did on the box before. 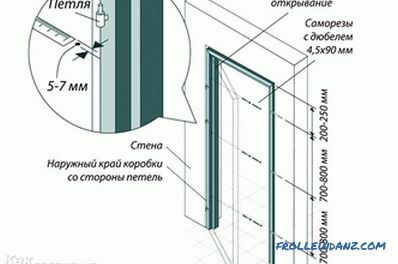 Measure the height of the side of the door opening and then transfer the dimensions to the side rails of the door structure. Keeping in mind the safety precautions, carefully lift the U-shaped box from the floor and proceed directly to mounting it in the opening. 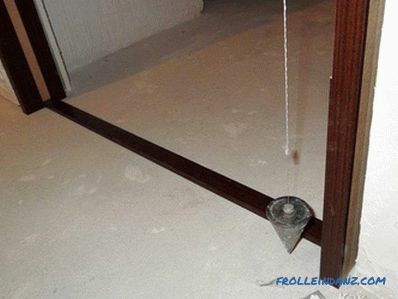 Using a plumb or level, carefully check the verticality of the box, the perpendicularity of all its constituent elements and the horizontal position of the upper bar. 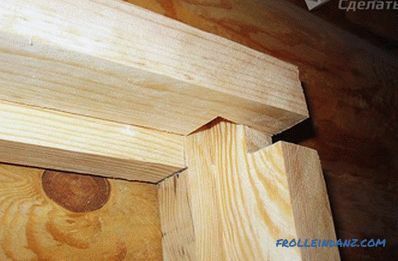 From the first time the frame may not "fit" into the opening (even if all the measurements you made are correct). But it does not matter. 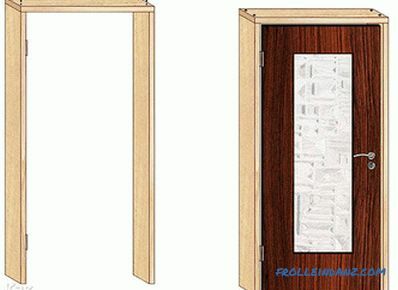 The gaps between the opening and the box can be quickly and easily eliminated using wooden wedges or foam. 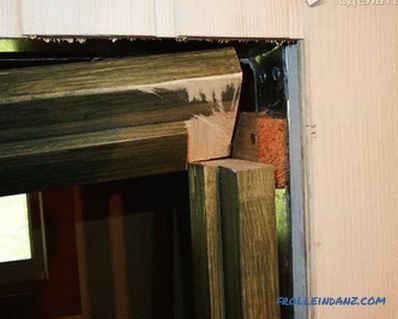 After you install the frame in the space allocated to it, be sure to fasten it.Screw the door frame with dowels to the slope of the opening. 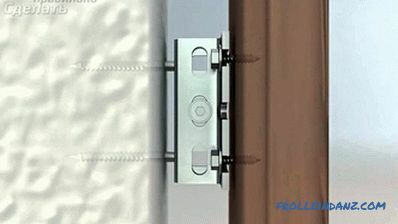 Make sure the door frame you assembled is securely in the doorway. 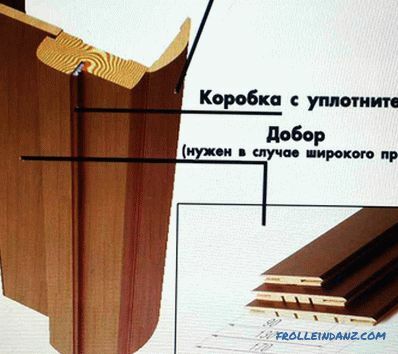 Remove the temporary struts and slats, also remember to cut off the protruding parts of the wooden wedges. We can assume that the installation of the door frame is over. Proceed on hanging the door to the hinges and attaching the door trim. 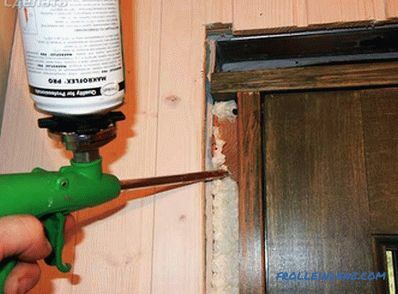 Attach the trim plates with nails, screws, or with glue. After installation, the nail caps are usually rubbed off, and if self-tapping screws were used, decorative plastic caps are put on them. 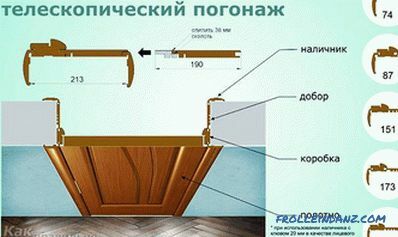 As you can see, the installation of the door frame requires not only knowledge, but also installation experience and patience.